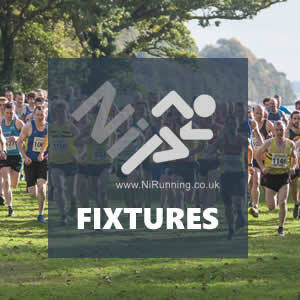 Weekend Preview: Record numbers set for NI & Ulster Road Relay Championships! Final preparations are underway for the Orangegrove Athletics Club’s 8th annual hosting of the NI & Ulster Road Relay Championships (Saturday 6th October 2018). The event will take place at the impressive Victoria Park, Belfast. In association with O’Reilly Stewart Solicitors, the east Belfast club is preparing to welcome a record number of runners willing to test themselves on the two-lap 3380m relay course. Just over 200 teams have registered, totalling 708 athletes across the Senior and Masters relay races, a 12% increase on last year (2017). As well as competing for this year’s championship medals, the fastest teams will be chasing the £1,000 prize pot generously provided by sponsors O’Reilly Stewart Solicitors, including a £200 bonus prize up for grabs for any team which sets a new course record. Last year, Queen’s University Belfast AC came close to the course record when they took the Senior Ladies’ title, with NI 10,000m and 5,000m record holder Emma Mitchell taking out the competition on the anchor leg, summing up an impressive team performance in 34:37. Emma will return with club mates and training partners Sinead Sweeney and Rebecca Henderson and will prove hard to beat – however, strong Newry AC (Esther Dickson, Aislinn Crossey and Ciara Coffey), Derry Track Club (Marina Murphy, Elaine Connor and Olivia Mullin), North Down AC (Rachel Gibson, Jodi Smith and Sarah Grant), Ballydrain Harriers (Denise Logue, Amanda Perry and Debbie Matchett) and City of Lisburn AC (Zoe Carruthers, Rebecca Harvey and Madison Bowyer) teams will be worth watching. Newcastle AC Senior Men’s team stormed to victory in 2017, seeing off strong competition from North Belfast Harriers, City of Derry AC and Springwell AC. Newcastle will not field a team this year, leaving the competition open for their rivals in what is promising to be a blistering race. A young St Malachy’s AC team of Ben Branagh, Conall McClean, Tony McCambridge and Adam Ferris will go well, as well as North Belfast Harriers quartet Mark McKinstry, Joe Malone, Philip Goss and Conal McCambridge. Derry Track Club’s Gideon Kimosop, Adam Kirk-Smith, John McQuade and Keith Shiels are likely to be amongst the front runners but may not be eligible for medals given the involvement of Kenyan star Gideon Kimosop. North Down AC and Victoria Park & Connswater AC will field strong teams. In the Ladies’ Masters event, City of Lisburn will be seeking to hang on to their winning streak, having collected a hat-trick of victories at the event over the past three years, including the course record (35:55) in 2016. Double Masters World Champion Kelly Neely should compete for the reigning Champions, which immediately makes them contenders. Looking at other potential medallists, Beechmount Harriers (Catherine Diver, Maria Morris and Gerrie Short) and North Belfast Harriers (Gladys Ganiel O’Neill, Louise Smith and Roisin Hughes) will provide tough opposition. Victoria Park & Connswater AC, Lagan Valley AC and Ballymena Runners should also be in the mix for medals. Having retained the title for the past two years, Acorns AC will be looking to retain their own streak in the Men’s race, but they will face some stiff competition, not least from 2017 silver and bronze medallists Annadale Striders and Willowfield Harriers. The reigning Champions will have Darrell McKee, Vincent McAllister, Marty McVey and Glenn Donnelly on the start line. In terms of potential challengers who could halt the Acorns AC hat-trick hunt, the North Down AC quartet of Francis Marsh, James Budde, Alex Donald and Stuart Donald should be there or there abouts. 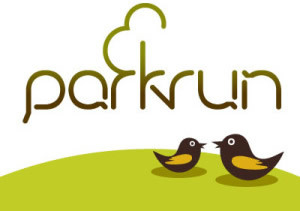 Ballymena Runners, Annadale Striders, Willowfield Harriers and Victoria Park & Connswater AC should be amongst the teams battling it out for the remaining podium places. Junior events will kick off the day’s competition, with over 200 young athletes registered for individual races for Junior and Primary School children. Orangegrove AC is keen for spectators and supporters to join in the festival atmosphere, and athletics clubs who wish to set up their own team tent or gazebo in the park for the day are encouraged to do so. For further details and important information for the day for athletes and spectators, including transport/parking arrangements, please visit the event website orangegroveac.co.uk/relays/. A good turn out is expected for the annual Omagh 5 mile road race (Saturday 6th October 2018) and for the 3rd consecutive year there is likely to be a new winner of the men’s field with 2017 Champion Stephen Cassidy being a notable absentee. The course record of 26:32 set by Paul Barbour in 2016 still stands, and favourite to have a crack at it is Martin Cox of Carmen Runners. Last year’s runner up Eoin Hughes will again be a podium contender, while the ever improving Matthew Neill (Omagh Harriers) will be aiming to better his third place finish from last year. Acorns AC Vincent McAlister and Martin McGirr may also be in the mix, along with Omagh Harriers flyers Conor Maguire and Pete Neill. It’s a different story in the ladies field, where Pauline McGurren (Sperrin Harriers) has proven unbeatable in both Omagh 5’s to date. Her outstanding record of 30:34 set in 2017 provides a target to aim for again this year. Pauline was pushed all the way by Clones AC’s Denise Toner, while Hayley Ballard is likely to take part in her hometown run once more in an attempt to better her third place finish last year. Five local athletes will represent Northern Ireland at the inaugural Commonwealth Half Marathon Championships in Cardiff, Wales (Sunday 7th October 2018). The Northern Ireland team is made up of Andrew Annett (North Belfast Harriers / Barry Monaghan), Conor Bradley (City of Derry AC / Teresa McDaid), Paul Pollock (Annadale Striders / Andrew Hobdell), Eoghan Totten (Newcastle AC / Richard Rodgers) and Ann-Marie McGlynn (Letterkenny AC / Colin Roberts). NI Half Marathon record holder Paul Pollock (1:02:09) will be joined by Andrew Annett, winner of the Northern Ireland & Ulster Half Marathon Championships last month, Eoghan Totten, who ran 1:06:14 in Barcelona this year and Conor Bradley, who clocked 51:48 for 10 miles back in August (2018). Ann-Marie McGlynn, who won this year’s Northern Ireland & Ulster Half Marathon Championships, will be the sole NI representative in the ladies race. A host of local runners will be travelling to America this coming weekend for the annual Chicago Marathon (Sunday 7th October 2018). Amongst the familiar faces will be Neill Weir (Willowfield Harriers), Helen Byers (North Down AC) and Sharon Sykes (Orangegrove AC). 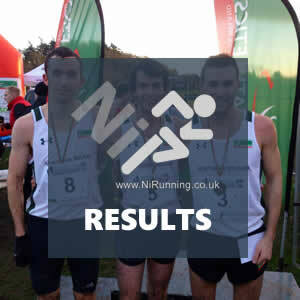 Armagh AC host inaugural TJ McElmeel XC Cup - Chris McGurk and Sinead Lambe win! QUB AC, St Malachy’s AC, Beechmount Harriers and North Down AC secure Relay titles!